What languages do European startups localize into? 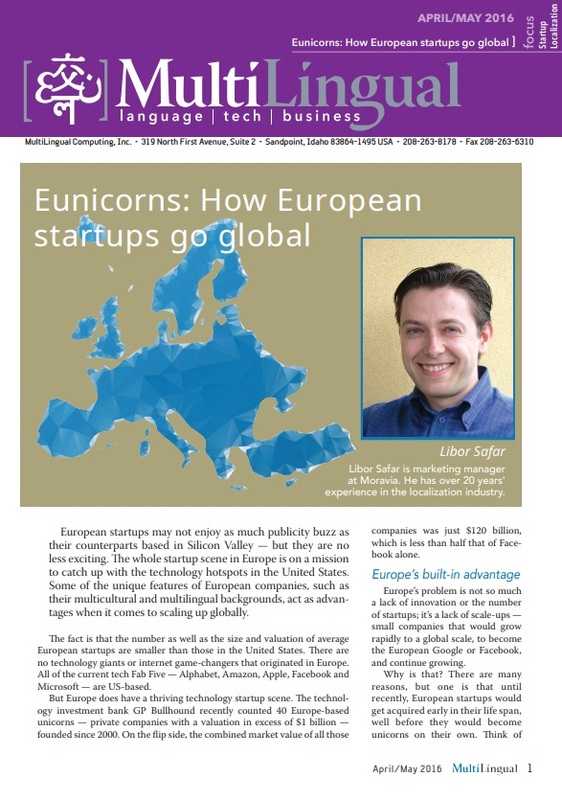 We have analyzed data from top 50 startup companies and high-tech unicorns in Europe to understand their language strategies, preferences, and at which stage of their development they decide to internationalize their products. The research shows that European startups, on average, localize into more languages than startups in the US. The European “champion” in this research is London-based Badoo, which runs a popular dating and social networking service available in more than 190 countries and 42 languages. As such, it is well ahead of Tinder, which otherwise often tops the list of the most internationalized US unicorns, but is at pixel time localized into “only” 35 languages. Complete the simple form to download the article, which was published in MultiLingual magazine #159.